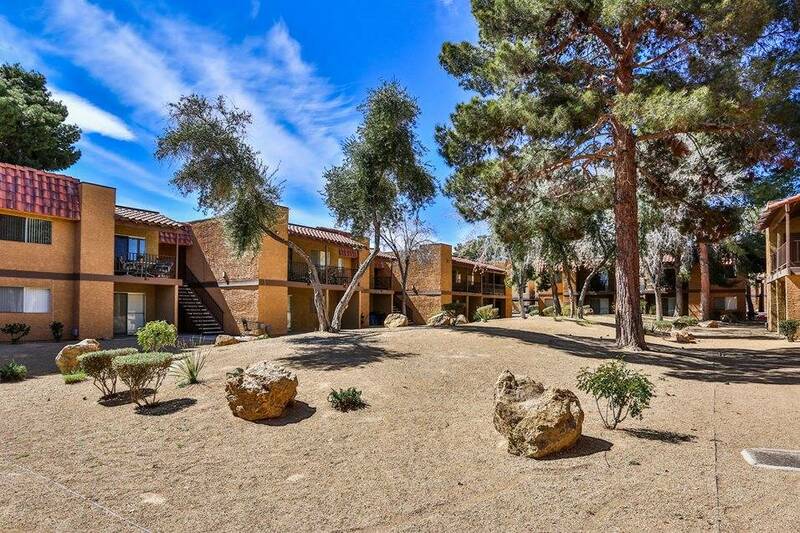 Foothill Village Apartments in Las Vegas, a 512-unit multifamily community, was sold off-market to California-based Tower 16 Partners in a joint venture with Henley USA for $50 million. The seller was Greenberg Traurig LLP. Being re-branded as Altura on Tropicana, the complex is at 6255 W. Tropicana Ave. at Jones Boulevard. Pat Sauter; Art Carll-Tangora; and Antone Brazill, CCIM, the Multifamily Team at NAI Vegas was retained by the buyers to facilitate the acquisition. “Art and the NAI Team did an amazing job assisting us with the acquisition of Foothill Village. They know the Las Vegas market very well and were able to plug us into the deal on an off-market basis which created tremendous value for us.” said Tyler Pruett of Tower 16 Capital. • American Nevada Co. has sold a five-building office portfolio totaling 271,114 square feet in Henderson to San Francisco-based JMA Ventures for $51.75 million. Situated within Green Valley Corporate Center, the transaction included 2275, 2285 and 2370 Corporate Circle (Corporate Center III, IV and V) and 2500 & 2550 Paseo Verde Parkway (Paseo Verde). Representing American Nevada Co. were Rick Reeder and Brad Tecca of Cushman & Wakefield’s Capital Markets in San Diego. Cushman & Wakefield’s Geoffrey West, Jayne Cayton and Michael Dunn based in Las Vegas provided local expert advisory. Known as Henderson’s central business district, Green Valley Corporate Center has approximately 1.5 million square feet of office, plus extensive retail, restaurant and entertainment space. The center benefits from being along the I-215 Beltway, within minutes to executive and workforce housing and a short distance to McCarran International Airport. 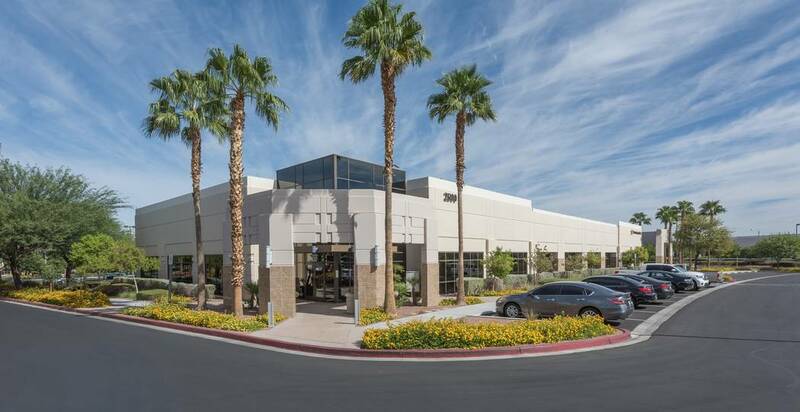 • San Diego-based Matter Real Estate Group has announced the completion and sale of its Matter@Craig, a 156,000-square-foot Class A industrial facility in North Las Vegas. The facility was sold to Orlando-based Christie Lites, a stage lighting company with offices worldwide, for $16.23 million. The highly amenitized distribution center is located within the 1.2 million square foot Las Vegas Corporate Center at 4325 Corporate Center Drive. Dan Doherty, Paul Sweetland, Jerry Doty and Chris Lane of Doherty Industrial Group, Colliers International represented both seller and buyer. • The sale of a retail center was completed on June 29. The 73,455-square-foot property is at 4116-4280 W. Craig Road in North Las Vegas. The total value of the transaction was $8,750,000. Cathy Jones, Paul Miachika, Roy Fritz, Jessica Cegavske, Jennifer Lehr and Taylor Vasquez of Sun Commercial Real Estate Inc. represented the seller, Marker Craig LLC. • CBRE has announced the sale of the Mary Crest Corporate Park, a multitenant industrial park at 1111 Mary Crest Road in Henderson. Brokers from CBRE’s Las Vegas office represented both the buyer and seller in the transaction. Charles Moore, CSM, and Marlene Fujita-Winkel, CCIM, represented the seller, Mary Crest LLC, in the $5,400,000 transaction, encompassing 44,435 square feet. The buyer, Mary Crest Business Park LLC, was represented by James Griffis. • The sale of a 62-room resort was completed on June 27. The 45,396-square-foot property is at 2755 Kyle Canyon Road, Mount Charleston. The total value of the transaction was $4,800,000. Cathy Jones, Paul Miachika, Roy Fritz, Jessica Cegavske and Jennifer Lehr of Sun Commercial Real Estate Inc. represented the seller, Mt. Charleston Resort LLC and Keller Williams Realty represented the buyer, Mt. Charleston Landlord LLC. • The sale of a 15,000-square-foot multitenant retail building at 6121 W. Lake Mead Blvd. to Brick & Mortar LLC for $1.9 million. The deal closed July 8. Phyllis Collman of Collman Group represented the seller, Diversified Investments Las Vegas LLC. Michael Boscia CCIM of Dapper Cos. represented the buyer. • Kevin Higgins, SIOR, of CBRE Inc. represented the buyer, Odyssey Acquisitions III LLC, in the purchase of 10.35 acres of industrial land at E. Washburn Road and Mount Hood St. for $1,800,000. • Sean Zaher of CBRE Inc. represented the seller in the sale of a 10,216-square-foot industrial building at 4265 Wagon Trail Ave. to SBB Investments LLC for $1,600.000. • Zac Zaher of CBRE Inc. represented the seller in the sale of a 9,845-square-foot industrial building at 5151 Oquendo Road to McBeath Holdings LLC for $1,453,000. The sale of APN 177-04-702-004 was completed on July 2. The 1.75-acre parcel is at 6975 Placid St. The total value of the transaction was $1,250,000. Michael Brazill and Edward Bassford of Sun Commercial Real Estate Inc. represented the seller, Estate of Ronald Earl Fick and US National Commercial Real Estate Services represented the buyer, Placid Street Development LLC. • Jake Higgins of CBRE Inc. represented the seller in the sale of 0.80 acres of industrial land at 2730 Brooks Ave. to Rocklin LLC for $315,000 . • A lease with the Resnick & Louis PC was completed on June 25. The 6,298-square-foot office space is at 8925 W. Russell Road, Suite 200. The total value of the transaction was $464,225.58. Jennifer Lehr of Sun Commercial Real Estate Inc. represented the Tenant, Resnick & Louis PC and MDL Group represented the landlord, Pageantry 1D–8D LLC. • A lease with the Comprehensive Eyecare Partners LLC was completed on July 11. The 4,162-square-foot office space is at 8352 W. Warm Springs, Suite 130. The total value of the transaction was $415,856.91. Lisa Hauger and Timothy Erickson of Sun Commercial Real Estate Inc. represented the landlord, Capovilla Management LLC and Colliers represented the tenant, Comprehensive Eyecare Partners LLC. • A lease with the Parlor LLC was completed on June 29. The 1,069-square-foot retail space is at 8000 W. Sahara Ave., Suite 170. The total value of the transaction was $165,884.05. Paul and Wil Chaffee of Sun Commercial Real Estate Inc. represented the landlord, 8000 Sahara LLC and Mountain West Commercial Real Estate represented the tenant, The Parlor LLC. • A lease with Pet Loss Services of Las Vegas Inc. was completed on June 22. The 2,400-square-foot retail space is at 6985 W. Sahara Avenue, Suite 112. The total value of the transaction was $95,520. Paul and Wil Chaffee of Sun Commercial Real Estate Inc. represented the tenant, Pet Loss Services of Las Vegas Inc. and RAM Real Estate represented the landlord. • Thomas Gallaway LLC dba Technologent leased 3,679 square feet of flex space in Hughes Airport Center at 815 Pilot Road. Jake Higgins of CBRE represented the landlord. • Cherokee Chemical Co. LLC, dba CCI, leased approximately 6,600 square feet of industrial space in Craig Losee Business Park at 4336 Losee Road. Zac Zaher of CBRE represented the tenant. • Gateway Classic Cars of Las Vegas leased 41,808 square feet of industrial space in Prologis Beltway Distribution Center at 6850 Lindell Road. Garrett Toft, SIOR, and Zac Zaher of CBRE represented the landlord. • Weingarten Realty has announced that Teriyaki Madness has leased 1,600 square feet in the Charleston Commons Shopping Center. The center is at North Nellis and East Charleston boulevards. The restaurant is slated to open early next year. Weingarten Realty was represented by Regional Leasing Manager Carina Roper. The tenant was represented by Phillip Dunning of Colliers International.